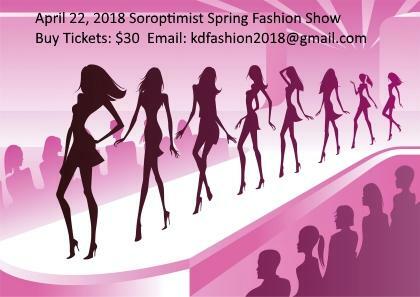 Soroptimist International Peterborough will be hosting a Spring Fashion Show at the Royal Gardens, 1160 Clonsilla Ave. at 1:00 Sunday April 22nd, 2018. TICKETS are on sale now for $30. Thanks to Royal Gardens for providing the amazing venue! Emcees for the event are Dan Duran & Teresa Kaszuba from the CHEX TV morning show. There will be appetizers (included) and wine available for purchase at the event. Door prizes and raffle baskets are also features of this event. And more donations to come! THANK YOU!! Proceeds support Soroptimist International (SI) Peterborough projects such as Dream It. Be It and Live Your Dream.